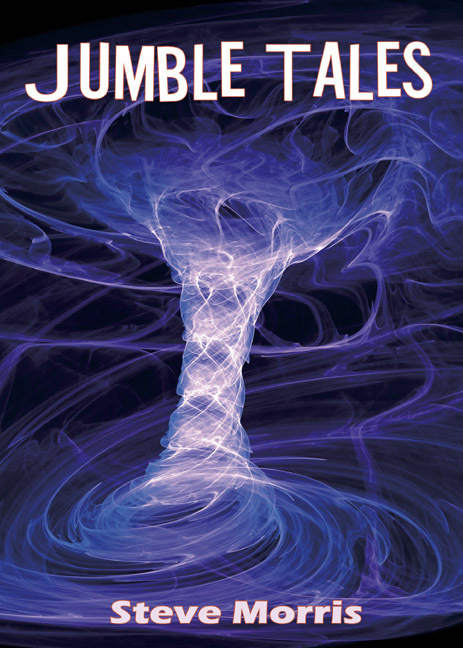 Yet another excellent review of "Jumble Tales"
The landscape that used to be the medium of the short story is quickly becoming an arid wasteland left to the childish musings of novelists interested in making a quick buck. Some, like Cormac McCarthy, have completely abandoned the medium as pointless. There are a few writers out there who are valiantly trying to keep the short story alive. Steve Morris is one of them. With his second short story collection, Jumble Tales, Mr. Morris illustrates eighteen individual stories with grace. His strengths lie in his ability to seamlessly bring us into the narrative, providing the reader with just enough to follow through the tale without being bogged down with trivial information. Many of the stories introduce a type of twist at the end, which, for the most part, is used effectively. There are times, however, that some of these twists seem a bit forced. For me the twist at the end of The Best Policy was jarring and, for me, took away from what otherwise would’ve been a great tale. The stories that I enjoyed most, however, were the ones where the twists were less jarring or completely absent altogether. One of my favorite stories was One-Nil, an elegantly told story of a soccer player’s redemption. While reading, I could almost taste the grains of dirt between my teeth, and I actually found myself reading this story over and over again. Ships That Pass is another favorite that will be familiar for anyone who feels that they never have enough time alone with their significant other. Steve Morris shines as a writer of short stories. In his introduction, he broaches the subject of writing a novel. There are parts of me that hope that he doesn’t. Not because I don’t think he would be a proficient novelist, but because I worry that the short story landscape may become more barren.